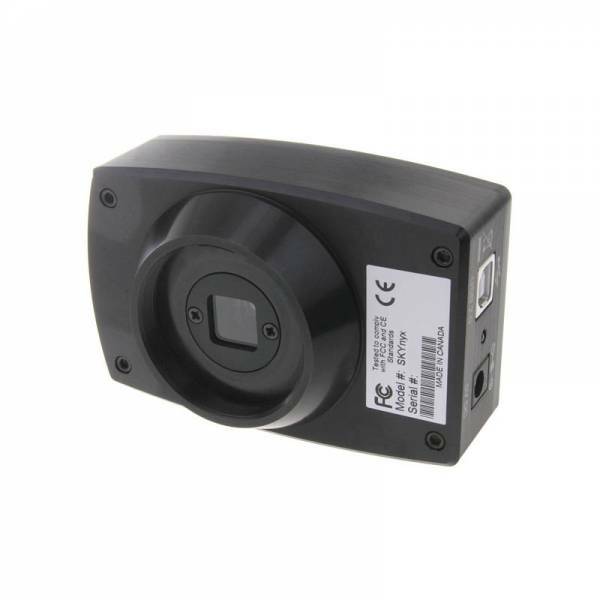 Informations sur le produit "Skynyx2-2M"
Lumenera's SKYnyx2-2 2.0 megapixel CCD digital camera is specifically designed for lunar, solar and planetary imaging, featuring high sensitivity, low noise and fast frame rates. With 1616x1232 resolution and on-board processing it delivers outstanding image quality. Providing exceptional sensitivity with low noise characteristics, it is the new powerhouse in strophotography. Its rugged, high quality anodized aluminum enclosure ensures this camera will serve your imaging needs for years to come.